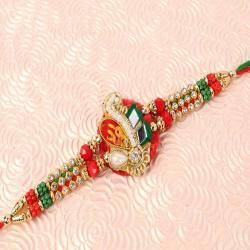 Raksha Bandhan special designer Rakhi decorated with colorful beads and diamond rings looks stunning and will embrace the wrist of your loved one on the eve. 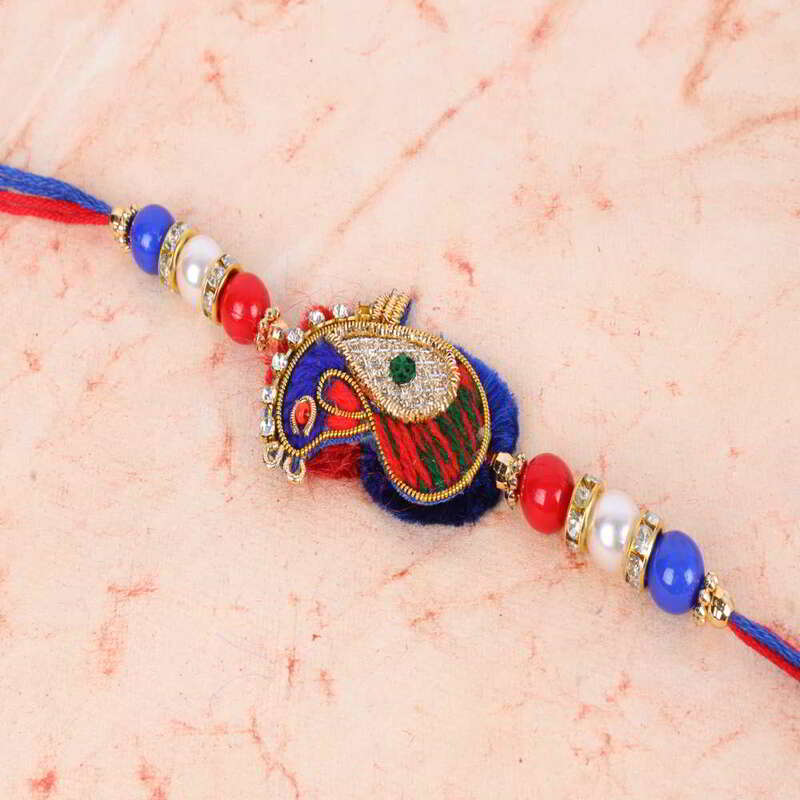 The zardozi work done on the Rakhi with multicolored thread looks cool on the ambi shaped dial. 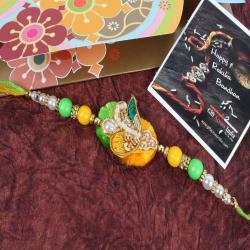 This special Rakhi has a pious charm in it which will be loved by heart. 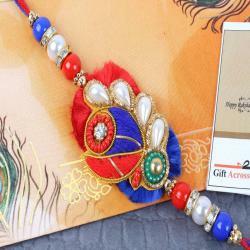 Look of the Rakhi is such that it will gaze up everybody’s attention. 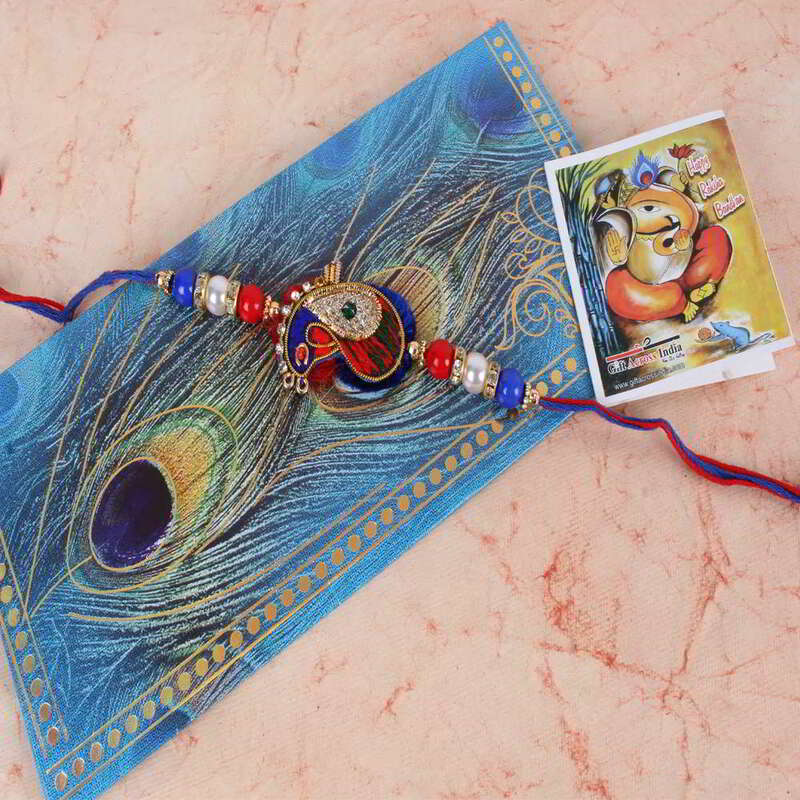 It is gift to be cherished and fonder for life. 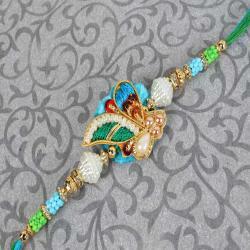 Make your Rakhi celebration complete with this special Rakhi and feel the love and care in your relationship. 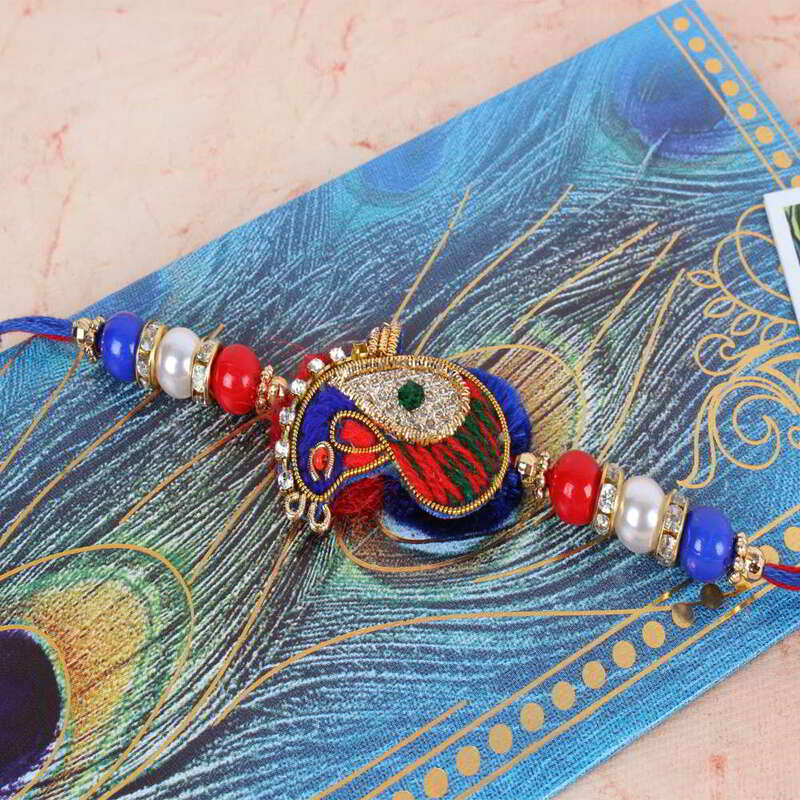 Product Consists: Designer Zardozi Rakhi decorated with colorful Pearl Beads and Diamond Studded Ring nicely tied on a designer Card.